complex on the Hudson River here. 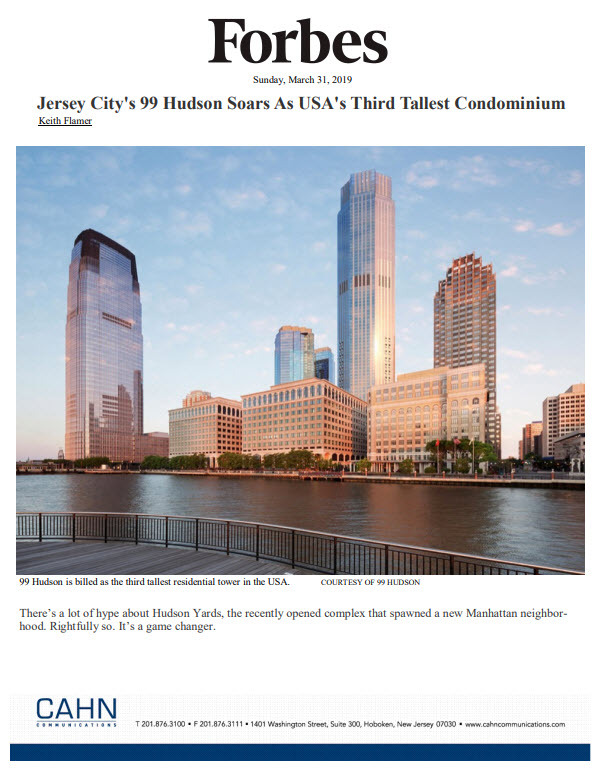 WEEHAWKEN, NJ–It is condo-construction time again, at least at Port Imperial. Lennar Urban tells GlobeSt.com that it will break ground next week on a new 74-unit building with million-dollar-plus units because buyer interest is rising again – particularly among foreign buyers. Lennar is currently at work on a 36-unit addition to the sprawling Port Imperial complex on the Hudson River, at its Henley on Hudson community. “We just topped out that building, and we’ve already sold 25 of the one-, two-, and three-bedroom units at an average price over $1 million,” says division president Craig Klingensmith. The new building, for which ground will be broken Aug. 14, is to be known as 1000 Avenue at Port Imperial. It will be the first of five buildings Lennar Urban plans to put up directly at riverside comprising “The Avenue Collection.” The five-building community will have a total of 669 condos. While the Henley condos will open by spring of next year, 1000 Avenue is scheduled for occupancy in the fall of 2014, according to Klingensmith. The seven-story Avenue building, designed with a modern glass façade and brick and metal accents, will offer a third-floor outdoor plaza with gardens, an open lawn and a sundeck, located off the building’s fitness center. Amenities will also include a grand salon with fireplace, concierge, integrated security systems, guest suites, a social room, and sauna and steam showers. As part of Port Imperial, a 200-acre, $2 billion master-planned community that stretches two miles along the river, the new building will also offer residents access to shops, restaurants, waterfront parks and an intermodal transportation system anchored by a Light Rail stop and a commuter ferry that are part of the complex. The groundbreaking ceremony will take place at 1 p.m. on the future site of the building along the Hudson River waterfront, south of the Port Imperial ferry terminal.